A strange tale of beauty and brotherhood. MEN WITH BEARDS is a celebration of natural beauty and inner strength. "This is why documentaries were invented." "Winnipeg filmmakers Dylan Fries and Michael Sanders have created the definitive film about growing, maintaining and displaying a beard. 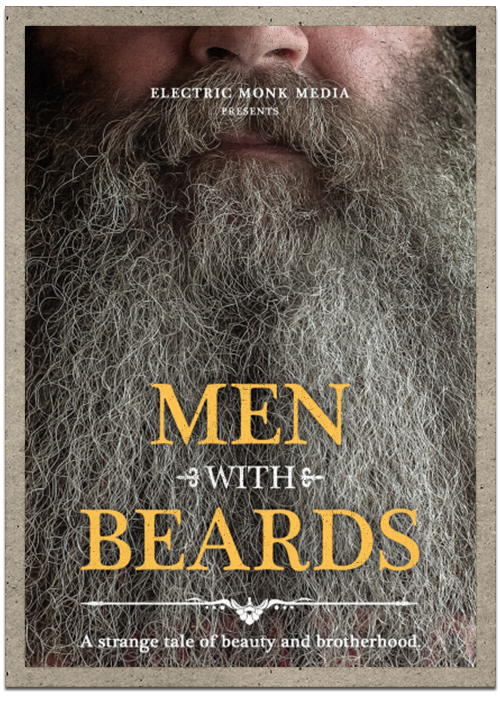 Featuring great archival footage and terrifically entertaining interviews with various Winnipeggers on their journey to experience the triumph and heartbreak of a world-class beard." "...an easygoing feature that’s charming, pensive and, at times, playfully philosophical. Its primary concept is simple, journalistic even: It documents the experiences of — wait for it — men with beards." Men With Beards is now available across American Cable in Movies on Demand! ​Men with Beards is a feature documentary that weaves a strange tale of beauty and brotherhood. Journey into the souls of countrymen to experience the triumph and heartbreak of a world-class beard. Delight in their daring stories, futuristic looks, and proud traditions. Men with Beards is a celebration of inner strength and personal growth. Man up. Men with Beards shares the stories of everyday people whose lives have been touched by extraordinary beards. Growing a beard is like making an indie film; it requires patience, care, delusion, stubborn determination, ego, revulsion for society, confidence in the process and an appreciation for the slow things in life. This is a character-driven film where the talking heads have serious beards and fierce opinions on identity and self-expression. Are you man enough? Are you woman? Watch Men with Beards and never look at your man the same. This challenging and emotional story lays bare the very essence of what it means to be male. Men with Beards will make women laugh and men cry. Rethink the unshaven, stare down the straight-edge, and know your man better than he knows himself.